The original Mille Miglia was a 1,000-mile, full-speed car race run on open, public roads in Italy from 1927 to ’57. Many legendary drivers and carmakers participated in it. For the times, it was a very long race full of danger, calamity and, for some, triumph. I welded the first few pieces of steel together for this project in 2011, a few months after my mother died, but this journey began nearly 50 years ago. 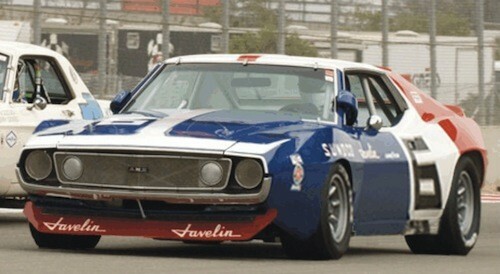 I am building a ’74 AMC Javelin racecar that is, to this point, a culmination of my history, my dreams, and, for the most part, my identity. I fell in love with cars and racing before I was four years old. I remember poking my head through the seat webbing of an aluminum-framed chaise patio chair pretending I was driving a sports racing car. The seat back was the tail section/rear spoiler, and the leg portion was sloped just like the Can-Am cars. I began recognizing different makes of cars on the street as a 6-year-old. On a family trip I saw two quarter midgets (think tiny Monopoly game cars) on a trailer at the entrance of a Howard Johnson’s restaurant hotel. “Dad, can we get one of those?” I said holding his hand. He told me, “No, we can’t,” as nicely as possible. The budget just wasn’t there for such things. In 1967, I discovered that my father worked at a place that actually made cars, a company called American Motors Corporation (AMC), and they had racecars. He worked in fuels and lubricants as a chemist and was part of the Technical Employees of American Motors (TEAM) race team that won the Sports Car Club of America’s B-Production championship with their ’68 AMX. Most days, dad came home to check on us at lunch driving a test or evaluation vehicle he borrowed from work. The coolest cars were in our driveway each mid-day: red, white, and blue SC/Ramblers and Rebel Machines, 1968-’70 Javelins and AMXs in bright, mod colors. Yes, some Gremlins and Pacers ended up in the driveway too. But, the car that captured my imagination most was the red, second-generation 1971 AMX lubricant test car with a 401 cubic-inch engine, and a 4-speed transmission. It was fast and angry looking and had a machine that measured lubricant temps on graph paper scroll with a waving hand quill, an unbelievable car. My Father, brother, and I had seen one of these cars, owned by Roger Penske, driven by the great Mark Donahue in the 1971 Trans-Am series event at the Mid-Ohio Sports Car Course. This exposure permanently jammed this car into my desires. I thank my father for that. I had to build and race one of these cars! But, I needed so much more to get to that point; namely, money and knowledge. I went to two racing schools in 1983 and 1985. My first actual racing opportunity came in the 1985 International Motor Sports Association Renault Cup. Dad helped me buy the Renault Encore. I had some help installing the safety cage, racing shocks, fiberglass racing seat, Y-pipe exhausts, and the other items that made it race worthy. It made 80 horsepower, which was ok because I was racing against identical Renault Encores. Its second duty was as my work transportation and dad drove my 1983 Renault Fuego. I got a lot of looks because of the numbers and all. We raced that car for the next five years at legendary places: Lime Rock Park in Connecticut, Road America in Wisconsin, Road Atlanta in Georgia, Nelson-Ledges in Ohio, the hallowed Watkins Glen in New York, and Mid-Ohio where we first saw the Penske Javelins race. In 1989 I graduated from college, sold the Renault and bought a Royale sports racing car. That fall, my father had a near fatal car crash with a closed head injury, and my mother needed help to take care of him. The next year I started work at General Motors (GM) and still assisted my mom with dad’s care. By ’93 he had almost fully recovered. Over those years, I still raced some with the help of my buddies, especially Damon, and dad made it to a few, walking on a cane. Graduate school took me away from racing altogether. During my first year, in 1993, I sold the Royale and resurrected the AMX racecar idea; sketching body modifications, detailing the chassis, researching engine parts required for 650 horsepower to make it competitive. My younger brother, Kevin died in ’94 and that, along with my father’s near death in ’89, really highlighted how precious and uncertain life is. The AMX project faded into the background behind career, family, and more practical car projects. I built a simpler sedan to learn. By the end of the ‘90s I had decided to leave GM and start a company that would produce a small volume sports car. I could not make it happen, fear overwhelmed me. I wasn’t nearly as prepared as my ego lead me to believe, but I learned a lot about myself. Photo retouched by Tom Best – showing his modifications to Mark Donahue’s ‘71 Penske AMX/Javelin, the influence for his AMX racecar. As my parents slowed down with age, my budget also declined, and our racing decreased. But, there were still memorable races between the gaps: Mother’s Day 2004 with mom and dad saw two victories during the weekend over a small field of cars – nice way to celebrate Mother’s Day. I focused on my parents’ need for more care, and on work. Who knew eight years would pass until my next race? In 2010 it hit me, I am in my late forties, not getting any younger, love to race and build cars but hadn’t done much of either in six years. Yes, I was looking after my parents, living with them, but my world was becoming grey. My mother was in poor health and nearly 80 and my father was already in his 80s. I was running out of time. There were no more hurdles or milestones that I could put in front of building this car. My parents could only see this car finished, if I got started. In the past I talked about my goals and eagerly accepted praise for talking about the goals instead of accomplishing them. I had to begin. I had more to lose by not building this car than by failing at it. I wish I had been brave enough to fully adopt this thinking in my teens and twenties. So, the AMX racecar project gained life. I called a buddy who collects AMCs and he had a ’74 Javelin that was perfect for this. The main structure is made of pieces of steel tubing that are cut, fit, and welded together, a tubular space frame chassis. So, the body pieces were all I needed and were pretty good. The interior structure was too rusty to restore; perfect. I won’t feel guilty about throwing that part away. The AMX body pieces are attached to the chassis with brackets. It is a relatively sophisticated structure and its construction requires a great deal of attention and concern for driver safety, and of course performance. It is the most extensive racecar project that I have undertaken in my life, so far. Being occupied with my parents’ care slowed productivity on the car a bit and caused some frustration. I stole time when I could to strip the car down and work on the tubular chassis design on my computer. I didn’t have any sophisticated computer-aided design (CAD) software, just a graphics program. I was using old-fashioned drafting methods on the computer, not bad, but not as efficient as CAD. And so, a year went by before I made any real progress. Life is interesting in that small things impact us in large ways. My mother’s home care nurse was on vacation, normally she would check my mother’s health each week listening to her lungs for too much fluid among many things. I am conscious of monitoring these things, but sometimes your attention is limited by your stamina. My mother began to cough because of coarse foods she was eating and we could hear the fluid in her lungs rattling dangerously. My mother’s eyes were wide, her eyebrows up as were mine, both of us expressing a great deal of fear. We called the ambulance to take her to the hospital. It is likely that the nurse’s vacation made no difference ultimately, but certainly things were becoming different for us. She came home from that hospital visit but within a week returned. She was on a ventilator and kidney machine that Sunday evening as she had been most of the week. She could just barely look in my direction when I called her. My dad rose from his wheel chair, kissed her on the cheek as I did. With mom’s condition as poor as it was, we said we would see her tomorrow. My sister was coming from Ohio to see her then also. But, they called us an hour after we made it home. I went back and arrived at 7:15 pm. Her collection of illnesses had just taken Patricia Best from us on that April 17, 2011. Time was more available to me after her death. This creates a mix of emotions over this project as a son who misses his mother, and as someone who needs time for his own aspirations. Well, we must move forward to honor ourselves and loved ones. So, in the fall of 2011 I began the platform on which the AMX would be built. I have made a lot of progress on the AMX since then, the chassis is 75 percent done, the body parts are ready for modification, the specs for the drivetrain and engine are nearly complete. My father was in the hospital this August but, he is doing pretty well and has almost fully recovered. At this point, I am concerned about the possibility that this project will be “bookended” by my parents’ deaths. So, part of this is a struggle to finish as soon as possible so dad and I can enjoy this car together for however long we can. It is interesting how this project initially regained urgency out of my middle-age realization of mortality, and more urgently propelled by my mother’s death and my 85 year-old father’s indefinite but pending mortality. Put simply, this is the main item to be checked off of our shared, multi-generational bucket list. So, I am taking care of dad and dedicating time to push this thing through. I am pushing through a barrier of honor and duty to family to become the whole me, to finish this car and become who I always believed myself to be, a man who designs and builds cars, and races them. 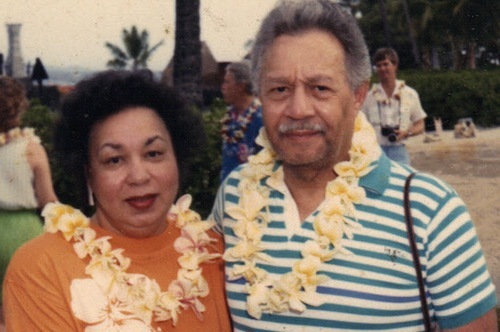 This project is also a dedication to dad, Thomas H. Best, III and my mother, Patricia S. Best. They gave me this gift, this love that produced this vision and entered me in this long race. Hopefully my father will see its finish. At the same time I am trying to be the best son I can be. Thanks Mom and Dad. You are driven by love. Love for your parents, love for cars, and finally love for self. Seems to me your priorities are lined up properly. I pray you enjoy the success that you more than deserve. thanks so very much. I am glad you got a chance to read and experience it. All I can say is Wow! What a powerful story! I wish you all the best in your journey. And when I win the lottery, I’m going to buy a home in Detroit to help you build that car! What a passion for that which has driven and inspired you for your entire life! Tom, I am so proud to be able to call you my friend. Keep those articles coming! Even though we have had many discussions on this project (including all the other projects that you’ve done) and numerous “bench-racing” sessions, this article brings to light and ties in many of your emotional aspects and motivations to the topic at hand for the readers. Your various motivators I have been aware of, but seeing it in formal print puts it all in perspective. that’s a lot, and I appreciate your words. Thanks for the comments here and elsewhere, the support and mostly your friendship. Love you man. What a great piece! It’s historical and informative and has personality, passion, and heart. Leslie thank you so very much! I also want to say, and hope to write, more about my other friends who have helped me greatly in life, but particularly with the cars I have raced, who I did address in detail here. So, Leonard, John, Darryl, Mark, and others I recognize you here in this small comment and will thank you in future writings as I have done in person.